Ice cream is fun, we all know that. Making your own ice cream is even better. But did you know you can be making your own ice cream by playing with a ball? 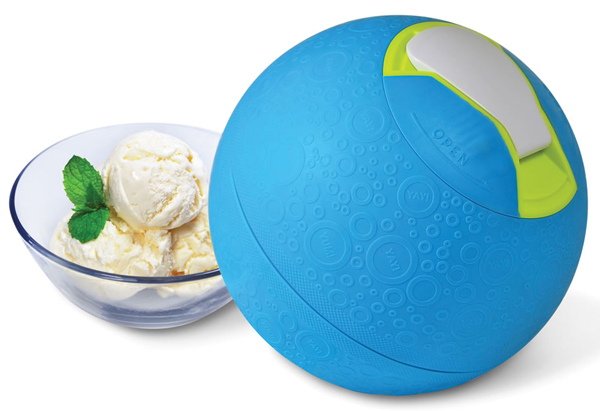 Can you imagine a more joyful way of making ice cream than with this softshell ice cream ball? You just need to fill one half of the ball with cream, sugar and your favorite flavoring: vanilla, strawberry, chocolate… whatever you like! Then fill the other part of the ball with ice and rock salt. The only thing left you need to do is roll, shake or spin the ball, let it move! In twenty minutes of playing you’ll be treated by your delicious, home-made ice cream.